Tate Archive collects and makes accessible a wealth of material primarily relating to the history of British art from 1900 to the present. Located at Tate Britain, the collections comprise materials such as letters, diaries and financial records, sketches, photographs, exhibition histories, audio visual material (including conference recordings, oral histories, and Audio Arts issues) and increasingly, born-digital material – all of which relate to artists, art practice, and art world figures and organisations. To consult the collections, you will just need to book an appointment to visit the Reading Rooms at Tate Britain (find out more about how to plan your visit). Before you visit, you can search for materials of interest from the catalogued holdings by using the online catalogue, and you can browse a range of digitally available items on our website. 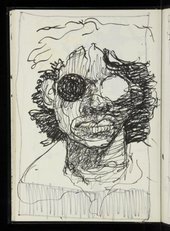 Tate Archive is free to use and open to everyone aged 18 or over. To make access arrangements for those aged under 18, or for general enquiries about accessing the catalogued collections, please contact reading.rooms@tate.org.uk or call +44 0)20 7887 8838. Tate Archive also runs a varied series of talks and events, and programmes displays of material in the Archive Gallery at Tate Britain, at at other Tate sites. Additionally, we offer hosted visits for schools and groups, regularly contribute to academic and sector practice-sharing activities, and loan out material for national and international exhibitions and publications. (in computing) a place for storing data or files that are not often used. 48 sketchbooks containing a mixture of preliminary studies for new artworks, records of past exhibitions and various writings. Founded in 1970, Tate Archive holds the world’s largest collection of archives relating to British Art. ‘British art’ is defined as art made in Britain, and not limited to artists born in the UK. For instance, Tate Archive is rich in holdings from European, American, and Commonwealth artists – as well as émigré artists - who were based in the UK for significant periods, and whose work is part of the history of British Art. With over 900 individual archive collections, there’s a wealth of research material comprising personal written materials as well as institutional records. In addition, Tate Archive houses materials that are international in scope. These include collections of more than 100,000 documentary photographs of artists, their studios and installation shots, 3,500 audio-visual accessions (including interviews with artists and copies of the British Library’s Artists’ Lives recordings and transcripts), 2,500 artist-designed posters, and 1500 single items - from a letter written by J. M. W. Turner to Christmas gifts by contemporary artists. Do note that we continually acquire archives, so not all of our collections will have been catalogued. If you have an enquiry about an uncatalogued collection, please email archive.enquiries@tate.org.uk. Tate Archive welcomes gifts, bequests and long-term loans from artists and their families, art institutions and societies. Archive material can be lent to approved venues for display elsewhere. To request a loan from the Archive please write to the address below (with a copy sent or emailed to the Archivist), giving at least nine months’ notice. Archive material is often shown in the Tate galleries, both as part of special exhibitions alongside collection displays. Please note that Tate Archive reserves the right to refuse to lend any item. Do I need special permission to look at material held in Tate Archive? 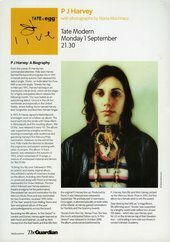 No – Tate Archive is a national repository and is open to everyone aged 18 or over. To make access arrangements for those aged under 18, please contact reading.rooms@tate.org.uk or call +44 0)20 7887 8838. How do I gain access to material in Tate Archive? You only need to register as an Archive Reader – fill out a registration form, and bring along two pieces of identification, one with a photograph and one with your name and address from the last three months. You can bring whatever materials you need for study – pencils, notebooks, laptop etc. However, bags and coats will need to be left in the cloakroom. Pencils are used instead of pens because our materials are unique and spilt ink can cause irreparable damage. Can I bring books from the library to consult while I am in the Archive Reading Room? 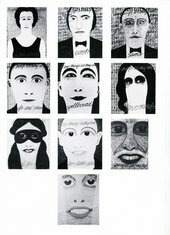 Is everything in Tate Archive available to consult? Everything that is on the online catalogue should be available to consult; if there are any restrictions they will be specified on the catalogue. Substitutes (facsimiles or surrogates) will be provided for items that are too fragile to bring out. Uncatalogued collections do not appear on the catalogue, but are collated here. Please give us twenty working days’ notice if you are interested in viewing anything specific from an uncatalogued collections, as we will have to check them for any data protection, security or conservation issues before allowing access. Parts of some collections – such as commercial gallery records – may be closed for up to 100 years due to financially sensitive reasons (for example in the records of commercial galleries) relating to identifiable individuals or because of the large amounts of sensitive personal information (for example in personal papers) that they may contain. Does Tate Archive hold materials in digital or electronic form, and is it possible to consult these? 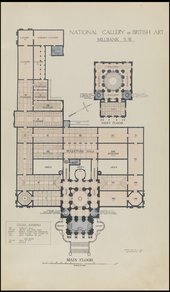 This type of material has started to enter Tate Archive and we are investigating access for researchers via a stand-alone computer in the reading room. How do I find out if Tate Archive has the material I want to see? Please consult our online catalogue. You can search by collection name (e.g. Donald Rodney), date (e.g. 1939-1945), 'TGA' reference number (if, for instance, you found a reference to an item in an article or book), or free text (e.g. ‘studio’). How do I order up the material I want to see? If you would like to see an item, take notice of the reference number (in this example, TGA 779/8/262-314), email it with the day you would like to visit (we are open Monday-Friday, 11.00-17.00) and we will have the material ready for you. How many items can I order up? You can order up to five items in advance of your visit, and further items once you are in the reading room. Requests are collected every hour on the half hour (i.e. 11.30, 12.30 etc; the last collection is at 15.30). Has everything in Tate Archive been digitised? No. Tate Archive has over one million items in over 900 collections. The recent Archives & Access project digitised over 52,000 items and pieces from over 75 collections. Each year, Tate will add further digitised materials to the website. 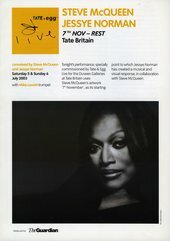 Can I make copies of material from Tate Archive? Readers are free to take photographs of materials with their mobile phone or a camera (without a stand), for study purposes only. More professional images can be ordered from Tate Archive when in the Reading Rooms or online via Tate Images. How does Tate Archive decide what material it collects? 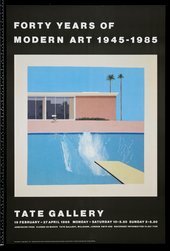 Tate Archive collects material relating to the history of British Art (primarily from 1900 onwards). 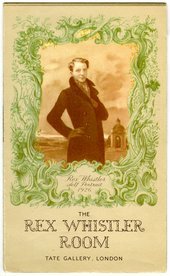 Although many of our collections relate to artists represented in Tate’s art collection, we also collect archives relating to other art world personalities and art institutions that help to tell the story of British fine art practice (especially from 1900). More information can be found in our collecting policy. Does Tate Archive only hold material relating to British art history? No. Many artists and art world figures based in Britain originated from different parts of the world, and their archives reflect this. Further, you will find material relating to the social history of Britain in these archives – the history of feminist and post-colonial experience in Britain; the papers of soldiers, those on the home front, and conscientious objectors during two world wars; accounts of mental and physical illnesses; material relating to all forms of leisure; and rich descriptions and images of everyday life. 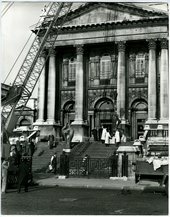 Also located at Tate Britain, is our collection of  Public Records. These records  document the full range of Tate’s activities throughout its history, starting with the arrangements for the establishment of the gallery recorded in the handwritten Board of Trustees’ minutes dating from the 1890s. Exhibition records date from the earliest in 1911 including a very small catalogue up to the 1980s together with original exhibition posters from 1937. Records of the acquisition of art works for Tate's collection, together with the development of the Tate Britain site, including the Clore Gallery extension project are also held. The records also contain a wealth of information about some of the more dramatic events in our history including, pictures of the rescue of art works during the 1928 Thames flood, and details about World War II bomb damage. View the summary list of the Public Records collection. Who can access the public records? Tate Public Records can be accessed by everyone aged 18 or over. Tate is a designated ‘Public Record body’ and ‘place of deposit’ under the Public Records Act 1958, you are able to come and consult the records on request which have been selected for permanent retention and placed on deposit at Tate on behalf of the nation. Additionally, access arrangements for those aged under 18 can be made by contacting reading.rooms@tate.org.uk or calling +44 (0)20 7887 8838. How are the public records accessed? You can access the materials in person via the Reading Rooms at Tate Britain. To request items from the Public Records collection, you will first need to register as an Archive Reader. Membership is free, and renewable on an annual basis. To register, you will need to a complete a registration form and bring a form of identity. Once registered, you will be able to book visits to the Reading Rooms. Once your visit is booked, you are advised to send us a list of the records you wish to see to reading.rooms@tate.org.uk in order to make best use of your time spent with us. To find out if we hold any records which are linked to your area of research, you can search the Public Records catalogue - some hints and tips about searching are available below. When you send us a list of records, please include the file reference number on the left had side of the screen and the title of the file. Note that most files in the Collection file series (TG4) have to be sensitivity checked regarding personal data, as many of these files were placed on deposit before the Data Protection Act was in force. We ask that you allow 10 working days for most files in this series to be processed, if there is a note to this effect on the catalogue. You can search the Public Records online via the Tate Archive and Public Records catalogue for specific information if you know what you are looking for, by typing the precise keywords for your search in the ‘any text’ field. By narrowing your search as far as possible, you will be able to search the catalogue more quickly. If you just type in the name of a well-known artist such as ‘Constable’ or ‘Turner’ you will retrieve hundreds of references. An overview of the historical public records collection on the catalogue is also available. If you are already on the Home Page of the Archive and Public Records catalogue, you can select ‘List Tate Public Records’. You will see a full list of each category of records (file series) at a high level e.g. TG 4, TG 16, TG 10, etc. To obtain a short description of each series click on an individual file series reference e.g. TG 22 – Education. Information too recent to be listed in our catalogue can be requested under the terms of the Freedom of Information Act. These records have to be reviewed carefully before they are released into the public domain and so you should allow up to 20 days to receive a reply. Once you have heard that we hold information which can be made available to you, you should book a place in the Archive Reading Room. 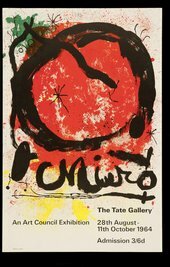 'TG 106 Tate Exhibition Posters' comprises original copies of Tate’s exhibition posters from 1937 onwards. These are available to view as digital surrogates in the Reading Rooms and copies of a number of the posters are available to buy as vintage poster prints from the Tate shop. 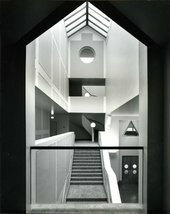 Public Records series 'TG 14 Tate Buildings' includes records of development of Tate’s buildings from the 1926 Modern Foreign and Sargent Galleries, and 1937 Duveen Sculpture Galleries and The 1979 North East Quadrant exhibition galleries. 'TG 92 Tate Exhibitions' document Tate’s exhibitions programme from the first exhibition, Alfred Stevens in 1911 up to the 1980s and is subject to annual accrual of records each year. TG 27/1 Tate Modern Artist Educator records’ document the learning activities that were designed for use in workshops with schools, families, young people and community groups between 2000 and 2010. A selection of supporting image resources and session plans also exist along with a small collection of photographs. Broadly categorised as ‘word / image find a link’, ‘handling’, and ‘making and doing’, the activities could be adapted for use with different age groups. Many of the activities were loosely game and image based such as ‘sorting’ games which helped learners engage with an artwork by categorising, comparing and discussing images. The activities were considered by the artist educators as a fluid and evolving resource rather than a finished product, and this can be evidenced in some of the sample session plans in the collection; they provide a valuable insight to the working methods of the artist educators during the first ten years of learning at Tate Modern. What do archives mean to you? The word 'archive' has a particular meaning in relation to record keeping: the UK's National Archives has a useful definition. But the term is often used informally to describe other types of collections too - from stuffed birds and artworks to LPs and digital footprints. Watch this short film to hear from artists, gallery volunteers, and history experts to see if their definition matches yours.